Cops are still on the hunt for a suspect accused of trying to abduct a child in front of a Corona school. 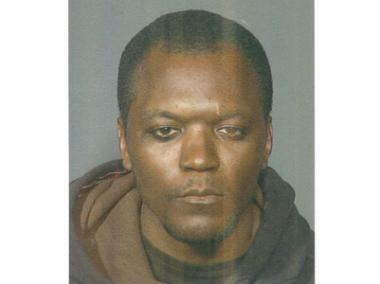 CORONA—Cops from the 115th Precinct believe that a man suspected of trying to abduct a boy from PS 92 fled the city. There is still no word on the whereabouts of 33-year old suspect Mark Synclair who has been accused of trying to kidnap a 7-year old child in front of P.S. 92 on May 28, cops said. The child wriggled out of Synclair's hands and managed to get away unhurt, reports said. “He [Synclair] used to be around [in the area] a lot,” said Deputy Inspector Thomas Kavanagh of the 115 Precinct Tuesday night. “Now, he’s not around. He’s gone, probably down South somewhere." After the incident, students at the elementary school were sent home with safety booklets, according to published reports. Cops urged the community to call in to the station should they hear something on the suspect. Anyone with information is asked to call the NYPD's Crime Stoppers hotline at 800-577-TIPS (8477). Members of the public can also submit tips by logging onto the Crime Stoppers website at www.nypdcrimestoppers.com, or by texting tips to CRIMES (274637), then entering TIP577.